I can’t believe we’re already into week 3. The bad news is we’re not getting very far very fast. The good news is we have at least made it to Canada! And the boat’s in much better shape than it was when we left (we now have a working radar and gps, and there’s no more stuff we have to cart out of the forward cabin before we go to sleep at night). We’re in Nanaimo this morning, expecting a good weather window tomorrow morning to cross the Straits of Georgia over to the Canadian mainland. After leaving Shilshole we spent 3 days in Oak Harbor with my pop, which we thoroughly enjoyed. Then off to Sucia, where we caught up with Tim & Cindy, but couldn’t get off the boat because the fuel for the outboard was too old and it wouldn’t start (oops, forgot that one on the list). Off to Roche harbor for a few days to get the outboard fixed and new fuel. 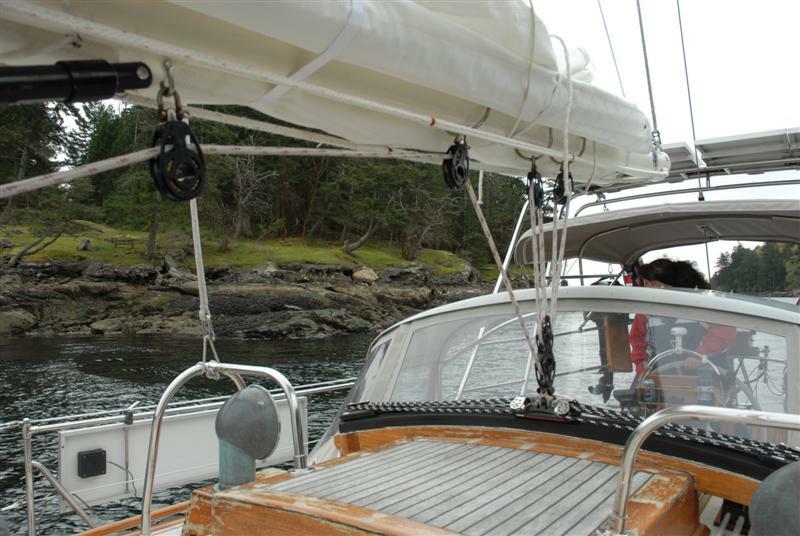 Then we left Tim & Cindy and spent 4 days in Sidney at the Sidney North Saanich Yacht Club. What a nice place, but really horrid weather. Spent a day being tourists in Victoria, which was fun. 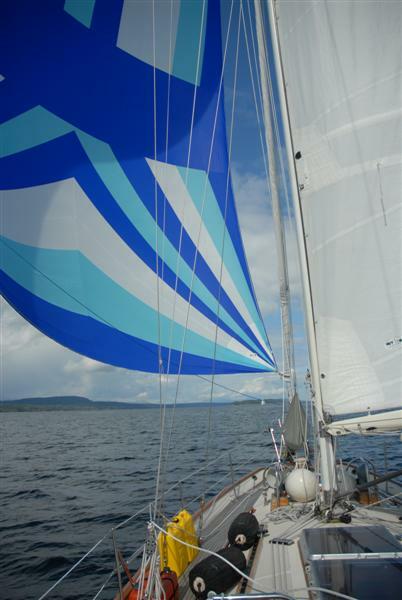 From there we sailed (even had a spinnaker day!) up Trincomali Channel to a little harbor on the north end of Thetis Island. Then yesterday our first of many passages waiting for slack tide through narrows with 9 knots of current. Today we have a long long list of chores, as this is the last big town we’ll see for a long time. Hopefully this weekend we’ll be in Princess Louisa Inlet. Tim & Cindy had to go back to Port Townsend to get some wood work done on Masquerade, so we’re hoping to catch up with them in a couple of weeks.